Brian Florian of Secrets of Home Theater and High Fidelity recently completed a review of a bookshelf system from the new Monitor Series 7 line. 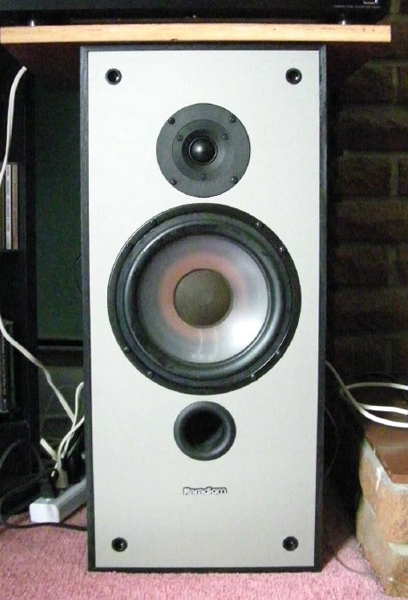 This 5 speaker system consisted of a pair of Mini Monitor bookshelf speakers for fronts, Monitor Surround 1 speakers for rears and the Monitor Center 1. Brian's review is very thorough and a good read but we have offered some highlights below. "Just think, the speakers you buy today could be with you several decades from now... Paradigm is not content with the status quo. You see, they are not just experts in the field of loudspeaker design and technology, but they have also become masters of manufacturing. Its not enough to come up with a good speaker if you can't also reproduce it to within a half dB on the assembly line at a price real people can afford." "Thanks to this, Paradigm continues what they call trickle-down technology. They spend R&D at the top end of the performance spectrum yes, but they also spend it reapplying said technology to their mid and entry level lines, which bring us to the subject of today's review: the recently launched 7th generation Monitor series..."
"... I dropped them into my system as a stereo pair and was floored. This is Paradigm's entry level 6-incher?!?" "I elected for the bulk of the review period to do without my subwoofer. The Mini's have what can only be described as remarkable bass for their enclosure and price. I've heard other speakers this size with comparable bass, but they were at least twice the price." 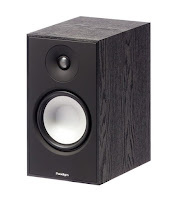 "Then the rest of the set arrived and things really started cooking..."
"The Center 1, like so many other Paradigm center channel speakers, is a superb product: compact yet still a true 3-way." 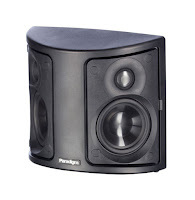 "The critical midrange was well served by the Mini Monitors as a stereo pair, testament to their mid-bass driver's upper end and the speaker's crossover implementation. The Center 1 bested them though, as well it should with its dedicated midrange, delivering dialogue of even some challenging dated movie mixes with surprising intelligibility." "...the Surround 1s have a shallowed angle to the poles. Not only does this enable the attractive curved appearance, but in giving them a little more direct sound to their mix it may yield a more even presentation to multiple rows of seating"
"What I heard was crisp, articulate sound, still with a semblance of positioning but extremely broad. This is exactly what we want! Placed where they belong, Paradigm's dipole surrounds emulate the sort of sound emitted by an array of surround speakers and do so with excellent fidelity." 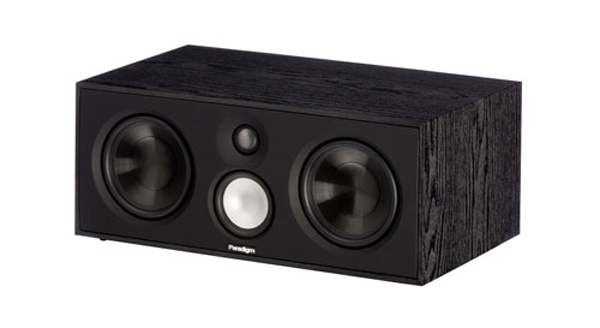 "The Mini Monitors are an instant classic, the Center 1 is so very hifi that I wonder what three would be like as an L/C/R set, and the Surround 1 continues the legacy of delivering the best surround sound field you can put into a home theatre. 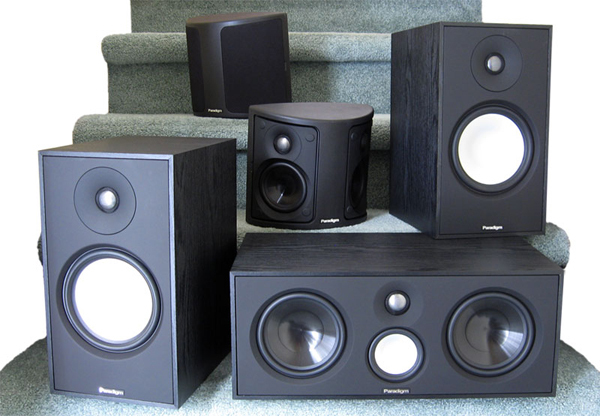 The Series 7, like so many Paradigms before them, are speakers which have the potential to become heirlooms!" Please click here! and take the time to read Brian's full review. For more information on Paradigm's Monitor Series 7 speakers click here!